Criminal Defense Lawyers - Robinson & Brandt P.S.C. The criminal justice system is stacked against a citizen charged and convicted of a crime. The resources of the state and federal governments greatly exceed the resources of the individual defendant. Thus, the defendant must take every opportunity to challenge the government's case and the legitimacy of the conviction in order to maximize the chance of obtaining justice. What kind of an attorney does someone look for when charged with a crime or when the criminal justice system has already let them down? Probably someone who grew up with a passion for representing citizens who have been unjustly charged, wrongfully convicted or incorrectly sentenced. Robinson & Brandt, P.S.C. is a national, full-service criminal defense law firm, practicing from coast to coast. We aggressively represent people who have been charged with a crime and even those who may be charged. 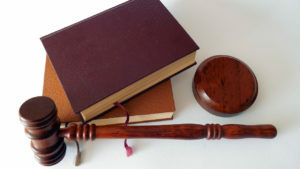 We also represent individuals who have already been convicted and sentenced, handling appeals and post-conviction cases where the client is fighting to correct an error at trial, in a guilty plea, or in sentencing. Our goal is to prevent or overturn wrongful convictions, to prevent or reduce incorrect sentences, and to obtain other relief as appropriate, such as the freedom of innocent inmates. 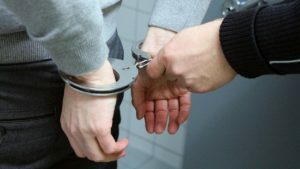 If you or someone you know is currently being prosecuted and needs legal representation, our firm is ready to step in and fight the charges, or at least take action to seek the best possible outcome for you and those who depend upon you. Our attorneys are especially knowledgeable and experienced with federal setencing issues and the U.S. Sentencing Guidelines. For more information about our firm representing you with a state or federal criminal trial, seeking the best possible plea deal, or at sentencing, please see Criminal Trials & Sentencing. If you have already been convicted of a crime and are seeking to overturn your conviction and sentence, we can represent you on appeal. 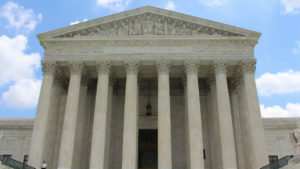 The direct appeal is your first best option to correct errors in a criminal case, and it is extremely important that your attorney is experienced in knowing what can be raised on appeal, what the appeals court will not hear on appeal, and which of the potential arguments for appeal are strongest. This is why it is important to have an attorney experienced with appeals. Our attorneys have more than 25 years of combined experience and are constantly researching appeals issues and keep up to date on new cases from each state and all federal appeals courts. For more information about our firm representing you on appeal, please see Criminal Appeals. We also have many years of experience in representing people, including inmates, in fighting to prove their innocence, show that errors and injustice have occurred in their cases, or that their attorneys were ineffective. This could mean seeking a new trial, to have a guilty plea thrown out, or to obtain a new sentencing hearing and a shorter sentence. For more information about our firm representing you with state or federal post-conviction relief action, please see Post-Conviction Actions. You can also learn more about Our Attorneys, review Our Track Record, learn All About Appeals, check out the most recent edition of our newsletter The Bulletin, or contact us directly with questions you may have about our law firm and what we may be able to do for you.